Department of Eagles features Daniel Rossen of Grizzly Bear and friend Fred Nicolaus, and features additional help from two other members of Grizzly Bear, Chris Taylor and Chris Bear. Daniel and Fred met in 2000 when they were randomly assigned to live together by New York University, and began making music to pass the time during an uneventful spring semester. Department of Eagles features Daniel Rossen of Grizzly Bear and friend Fred Nicolaus, and features additional help from two other members of Grizzly Bear, Chris Taylor and Chris Bear. Daniel and Fred met in 2000 when they were randomly assigned to live together by New York University, and began making music to pass the time during an uneventful spring semester. From collected samples they created songs using computers and a microphone borrowed from their neighbour, Chris Taylor (who, years later would become Daniel’s Grizzly Bear bandmate and DoE’s producer/engineer). Some of the material they wrote during this time became their 2003 debut The Cold Nose, affording them both critical praise and a small but enthusiastic audience, while the remaining tracks were later comprised compilation album Archives released in 2010. In 2004 Daniel joined Grizzly Bear, playing guitar, singing, and writing a good portion of their sophomore album, Yellow House. Meanwhile, Fred descended deeper into the square existence, holding down a number of jobs and opening a savings account. Despite Daniel’s increasingly busy schedule and Fred’s real world commitments, they continued writing together whenever possible, resulting in a new batch of songs that comprised In Ear Park, an album that took roughly four years to complete. The eleven track album was once again recorded in Brooklyn, NY with Chris Taylor, laced with a distinctly vintage quality that echoed the warm reverb of Sun Records, and a wood and twine homespun romanticism at odds with the chaos of New York City. 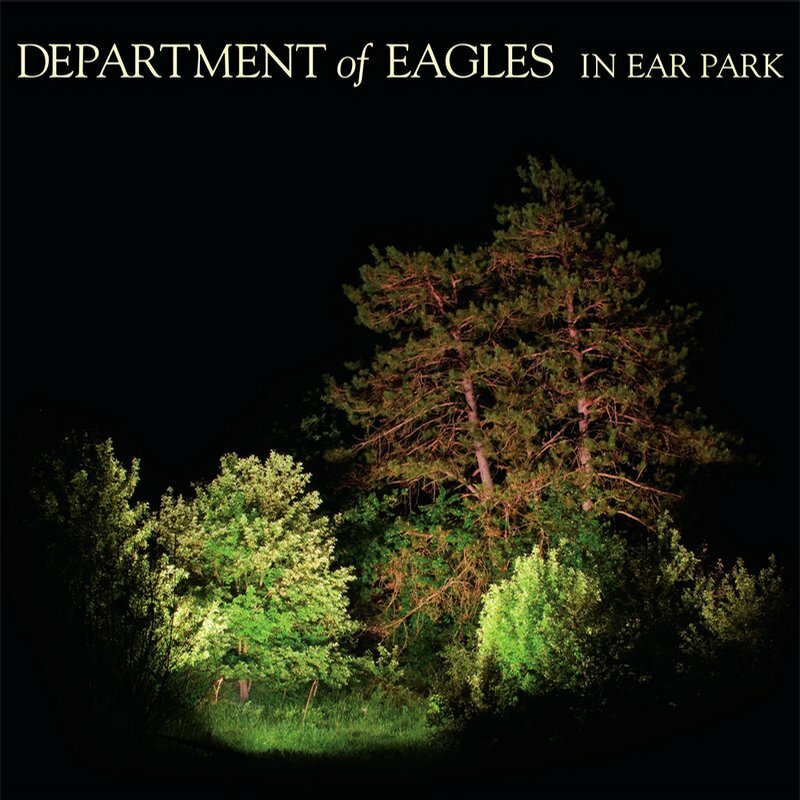 Stepping out of the considerable shadow of Grizzly Bear, Department of Eagles became a notable force unto themselves, In Ear Park a testament to taking your time, one languid step after the next.